Are you a small environmental start-up trying to navigate the regulatory landscape? Wondering who to contact with your questions? EPA offers several resources for small businesses, but finding and making sense of them all can be a challenge. Read on to learn about your options. The Office of Small Business Programs advocates for small businesses within the EPA, and fosters their opportunities for Agency partnerships and contracts. It also operates a toll-free hotline, oddly dubbed the Asbestos and Small Business Ombudsman Hotline, that provides free, confidential help with a variety of regulatory questions. Rest assured it helps small businesses with a range of topics at 1-800-368-5888 or 202-566-1970 (DC area and international) – it just happens to have asbestos-related responsibilities tacked on. The Hotline can answer common questions, such as how to get an EPA ID number (spoiler alert: there are many types, often issued at the state level). But while the hotline can help in a pinch, you’ll likely get more in-depth assistance from your EPA Regional Compliance Assistance Coordinator. 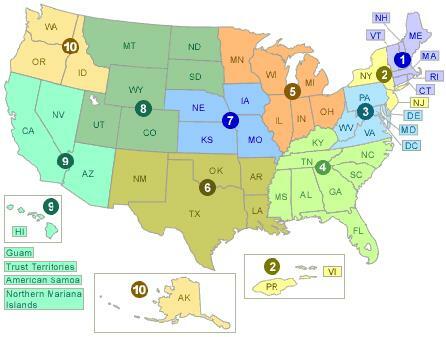 EPA divides the country into ten regions, each with an office providing compliance services like workshops and training sessions, guidance materials, and on-site compliance assistance. A coordinator oversees these activities and acts as a point of contact. Find your EPA Regional Compliance Assistance Coordinator. The National Agriculture Center (Ag Center) is an information hub for environmental regulations affecting the agriculture industry. It hosts information for Small Farms and Small Business. If these resources can’t answer your questions, you may be referred to the Office of Compliance and Enforcement in DC. If you need still more assistance, try visiting the EPA-sponsored, sector-specific, online Compliance Assistance Centers. While EPA is still trying to revamp the robotic “government-speak” tone of its website, the Compliance Assistance Centers generally write in plain language and may be easier to understand. Take one of their virtual plant tours, call them with your questions, or join an email discussion list. The Design for Environment Program (DfE) incentivizes safer household, industrial, and institutional products. When formulating these products, search the DfE-sponsored CleanGredients® database to find ingredients that are safer for people and the environment. Then, apply for a DfE label to show the world that your product is an EPA-recognized safer alternative. Products with these labels are sold at major national retailers that carry cleaning and household supplies. To apply to have your product evaluated see How to Partner, Get the DfE Label on a Product. The above-mentioned Office of Small Business Programs offer five counseling sessions per year on contracts and grant opportunities for small businesses. Small, minority, and women-owned businesses may be interested in its Disadvantaged Business Enterprise (DBE) Program. If you’re interested in doing research, you may want to look into EPA’s Small Business Innovation Research (SBIR) Program, which solicits research proposals from small science and technology-based firms. Solicitations are open to firms with 500 employees or less. The Grants and Other Funding Opportunities Web page has some excellent resources to help you understand what’s available and how to apply. 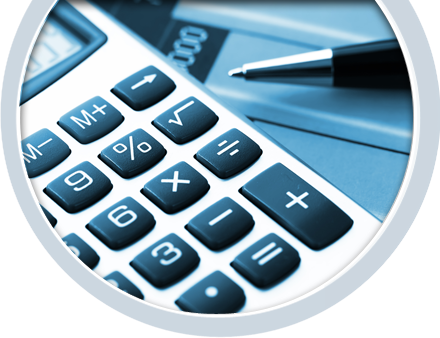 This site includes PowerPoints, tutorials, and information on a variety of grant programs. EPA and other federal agencies make a vast amount of data freely available to the public, including businesses that use it to further their own research and development. For example, you can get free EPA reports in digital and print formats from the National Service Center for Environmental Publications (NSCEP). Download on demand or place an order for print – you may need to pay shipping/cost recovery, but otherwise it’s free. If you need an EPA document you can’t find through NSCEP, contact your local academic or public library. They can likely loan it from an EPA library for you. EPA librarians can also help you find regulations and contacts. The Data Finder portal organizes EPA’s data resources by subject (air, water, etc.). It also links to the Environmental Dataset Gateway, EPA’s portal to (mostly) geospatial data. Your company can save money and resources, reduce its impact, and attract interest by “greening” operations. You can get help to do it, too. For example, the Green Power Partnership has information on a variety of local, state, federal, and other incentives for using green power. The ENERGY STAR Program also lists tips on facility management for small businesses to help boost your energy efficiency. Look for the DfE Program label when purchasing cleaning products for your business. You can find an extensive list of green purchasing/green business resources at http://www.epa.gov/osbp/green-biz.htm. Still don’t know where to start? Read EPA’s FAQs or ask your own question. You may want to start with the FAQs for small businesses.